Managing your time has long been a part of the knowledge worker’s day, and calendar apps have been around almost as long as email. But while the quantity of available options is high, the number of quality calendar apps is a small handful. 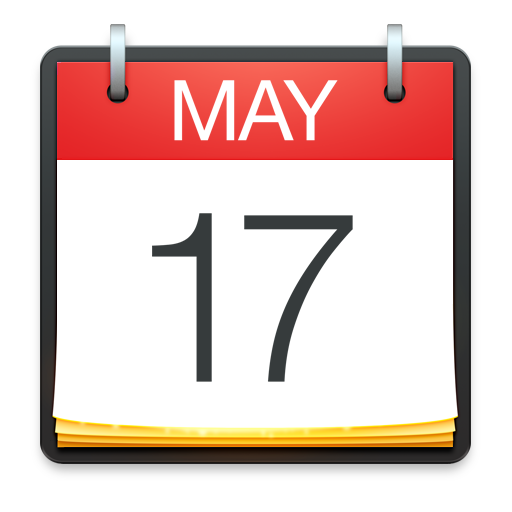 The option that is best suited for you will depend on your needs, but a closer inspection has shown us that, for most people, Fantastical 2 is the best calendar application for macOS users. A calendar app on its own is a simple thing. You put items on it to show where you need to be, how long you’re going to be there, or what you’re going to do. Any calendar app must include those features to be useful in any way. But a useful and effective calendar app requires those features to be well-designed, as well as include other functionality. Here’s what we looked at to arrive at our decision. Ease of use: The number one priority of a calendar app must be the UI. How intuitive is the app? How easy is it to add a new event? A task or reminder? To add some notes or details to an event? How hard is it to invite people to an event? These are some of the questions we asked when comparing the options. Aesthetics: For many people, using a calendar application is a necessary evil. It’s a tool to manage how other people are using up your time. But if you’re going to have to spend time managing this part of your life, an attractive interface can make the chore more enjoyable. Power: Once you have a smart UI in place, the next thing to consider with a calendar app is the feature set. What can the user do from this application? The best app will need to meet the needs of the novice (your grandma) as well as the power user (your CEO’s assistant). And those features cannot detract from the usability of the app. No small order, there. Price: With many categories of desktop applications, the price can often be irrelevant as the gap is narrow and most options are similar. However, because of Outlook’s inclusion in our comparison, price factored into our decision. macOS integration: How well the application fits the environment is always key — especially for cross-platform tools. At the risk of sounding painfully obvious, a calendar app for macOS must work with iCloud. And not just for the calendar functionality: Reminders are a key tool for Apple users and need to be accessible in our selection. Third-party integrations: Because macOS users do not all use the same calendar service (iCloud, Google Calendar, Exchange, etc. ), our desktop app must work with all the available options. iOS versions: Lastly, because most of us live in a multi-device environment, it is beneficial to have iOS versions of each app. Calendar (Free): Included in macOS, Apple’s option covers all the basics. It sports an attractive interface, but suffers from several usability issues. 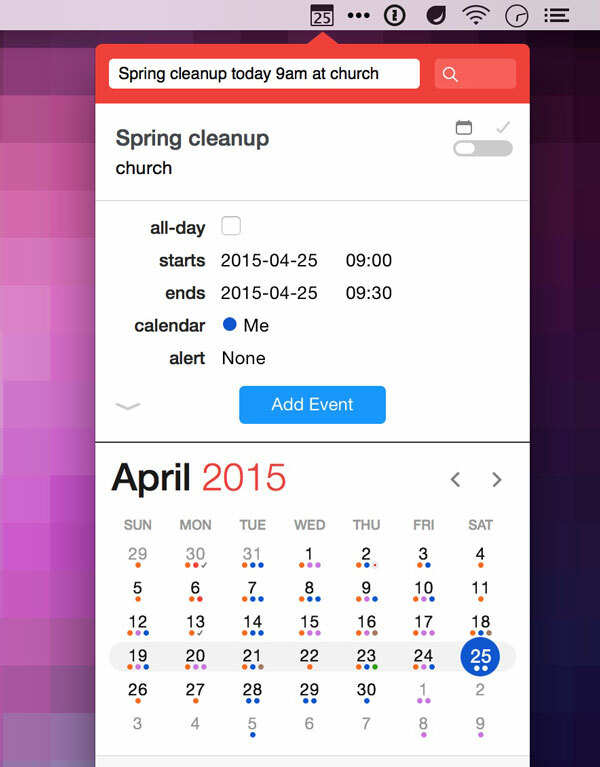 BusyCal ($49.99): The BusyMac team has been in the app-making business for some time. And their flagship app, BusyCal, has long offered more features than its macOS counterpart. The focus here is functionality. Fantastical 2 ($49.99): This option started as a menubar app for macOS, often used in tandem with the other desktop calendar options. It originally launched in May, 2011 and has since made its way to iOS. However, Fantastical 2 for macOS sports a new interface and is now a full-fledged desktop app. Outlook ($6.99/$9.99 per month, $139.99/$219.99): The old behemoth chugs along. Outlook was a key cog in the Microsoft dominance on the PC, but it’s always felt like an ugly duckling on macOS. We wanted to know if that was still the case. The original Fantastical for macOS was the best option for quickly adding and reviewing calendar entries. Version 2 keeps all its advantages while adding the functionality of more robust calendar applications. 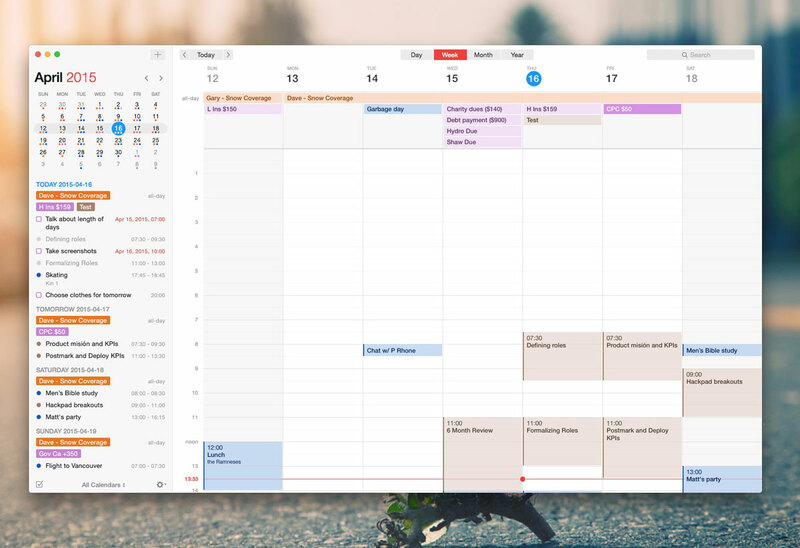 There is a lot to like about a number of these calendar apps, but what makes Fantastical stand out is the first item on our list of criteria: it’s the easiest to work with. For a calendar app, ease-of-use needs to be considered in a few different ways. First, how easy is it to glance at your day, week, or month and quickly get a feel for how your time is going to be spent? Second, and perhaps more importantly, how easy is it to get items into your calendar? Because many calendar apps do a decent-to-good job of displaying your events, we could argue that ease-of-entry is the most vital part of a desktop calendar app. And, in this regard, Fantastical leads the way. Aside: savvy macOS users could point to the fact that desktop utilities such as Alfred, LaunchBar, and Spotlight make ease-of-entry a non-sequitur. And I agree: I often use LaunchBar to add events to my calendar rather than Fantastical … but this is a review of the full-fledged functionality of the desktop calendar app landscape. If launcher type utilities are your thing, check out our review. From its inception, the focus with Fantastical was its natural-language parsing, the ability for the user to enter random bits of text into the entry box and the app just figures it out. It’s almost magical and it set the bar for calendar apps on macOS. That has not changed with Fantastical 2. Although the app is no longer just a menubar utility, the ease of getting items into your calendar is the same. The great part of Fantastical 2 is that for those who loved the simplicity of the first version, you can use it in the exact same fashion. The full fledged app interface never needs to be seen. Indeed, the menubar functionality is now a must-have for a calendar application. I want to be able to glance at my day without having to open the full application. Fantastical gives me that option and builds on the original experience of the first version to also give the full functionality and bigger long-term views of more traditional calendar apps. Apple makes every effort to turn the phrase “it-just-works” into reality. Flexibits does the same with its ability to take what you throw at it and turn your words into events that make sense. And, as alluded to earlier, ease of use also includes a few other touches. Viewing a calendar filled with events and tasks is one factor, but we’ll touch more on the UI below. Another way many calendar apps cause frustration is in editing events already in your calendar. Some of our options add friction to the process of editing existing entries, most often in the form of multiple clicks. Fantastical does no such thing. Simply click on an existing event, and update fields as desired. Other options require you to click a button or double click an entry before field values can be added. Advantage Fantastical! There are a few other common tasks that are (thankfully) easier than was common several years back. Adding invitees, locations, or notes to a calendar entry is a fairly simple process in Fantastical, BusyCal, and Calendar.app — both in creating a new entry, or with editing an existing one. In this regard, Outlook adds slightly more friction to the process. In many interfaces, the “less is more” mantra is an ideal goal. Most clean, well-thought out UI’s make ample use of whitespace and contrast to differentiate between different types of content. 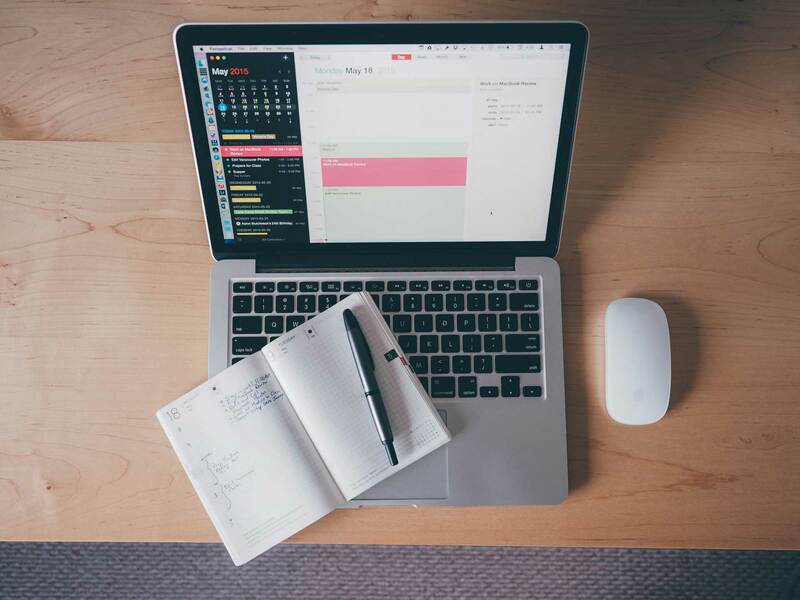 The hard part of designing a calendar application is that the designer has to give the user the ability to view a large amount of information (a month or year view of a busy person’s calendar), yet still maintain clarity. No easy task. In this regard, Flexibits has done a laudable job with Fantastical. The desktop calendar space for macOS had long been ruled by options putting functionality over aesthetics or options that came close to usable, but slightly missed the mark (Apple’s own Calendar app). The problem with many of the apps that place the highest priority on aesthetics, ease of use, and a clean experience is that power features are often sacrificed. And in most cases, this is a good thing. But applications that can provide a clean user experience and full functionality will rule the roost. That’s the case with Fantastical. No one could ever accuse BusyCal of not delivering on features, but it, and other options, lack the grace of Fantastical. So, when talking about feature sets, this must always be kept in mind. How does Fantastical fare with features in mind? Very well, thank you! It integrates with iCloud and Google accounts, the two most used options for macOS users. But it also plays nicely with Exchange (for those poor souls living double lives), Yahoo, and CalDAV accounts. Is your Google account configured to use two-factor authentication? No problem. In essence, desktop calendar applications can be thought of as wrappers. The full functionality is dependent on the background service (iCloud, Google etc). But each client on macOS integrates with those backend services to differing degrees. Fantastical does a fair job of offering the majority of options that iCloud and Google calendar apps provide. However, one feature Fantastical does not include is the ability for users to share their calendars. But, neither do any of the other options we considered (apart from Outlook giving you options to share Exchange calendar accounts). Overall, most of the apps considered have parity in this regard. None of the other options add enough functionality to overcome Fantastical’s excellent design. 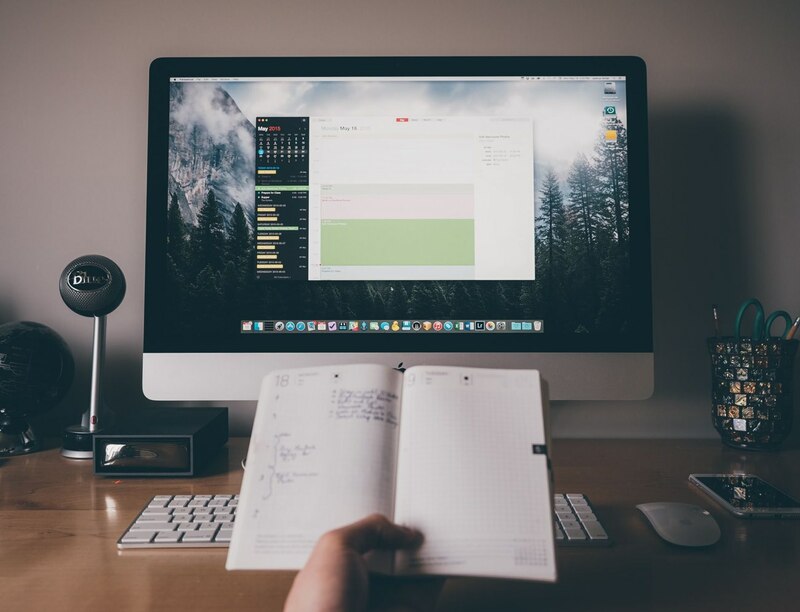 For many comparisons of desktop applications for macOS, cost is not a determining factor, simply because the range of prices is mostly consistent, but with Calendar apps, price does come into the discussion. This is due to the fact that Apple provides a free option within the desktop OS, but also because Microsoft Outlook is more than 4 times the cost of the other contenders. With Fantastical and BusyCal sitting at $49, people have two questions to answer. First, do these third-party applications offer enough advantage over the free app already installed on their computer? If the answer to that question is yes (and for many people, it likely is), the next question to answer is whether or not Outlook offers enough advantages over Fantastical and BusyCal to justify the $219 price tag. Lastly, one consideration when factoring in price to a decision such as this is support. When a Mac user makes a purchase of this nature, choosing a third-party tool over what Apple already provides, you have to consider what kind of company your purchasing power is supporting. Part of what makes macOS so special is the thriving community of developers. They truly make macOS a better platform (as well as iOS), extending what it can do beyond what Apple envisioned. It’s just another reason that makes Fantastical our top choice. It feels good to support the Flexibits team. Reciprocal benefit is a beautiful thing! Another vital aspect of a desktop calendar app for macOS is fitting in and being a good neighbor. With iCloud, an app that makes adding and viewing reminders has a distinct advantage over an app that does not. And again, Fantastical meets the need, and does so better than the other contenders. This may be one of my favorite touches with Fantastical. To add a reminder to one of your Reminder lists, simply toggle the switch in the new entry window. The same benefits to adding an event to your calendar apply to your Reminders. Simply start typing in the entry window, then toggle the switch as shown above. Want that reminder to have a due date? Not a problem — just type it in like you would for an event. The natural parsing of Fantastical handles events and reminders with ease. Displaying your reminders is also done well. In the Mini Window (capitalized for your pleasure), your reminders are placed at the end of your list of events. If one has a due date and time, it shows amidst your events at that time. In the full app window, the reminders show in both the sidebar and the full calendar view. Apple has made an attempt to have Reminders be the default to-do list of the casual computer user. Unfortunately, they fell short making the experience fluid. However, Fantastical makes up where they lack. With Fantastical 2, the experience of adding, viewing, and interacting with reminders makes it feel as if Reminders is a natural extension of the calendar. Fantastical has a fantastic (sorry … you knew it was coming!) Today widget. None of the other contenders offer that functionality. If the menubar is not your thing, then a quick three finger swipe can bring up the Today window for a look at what’s coming. 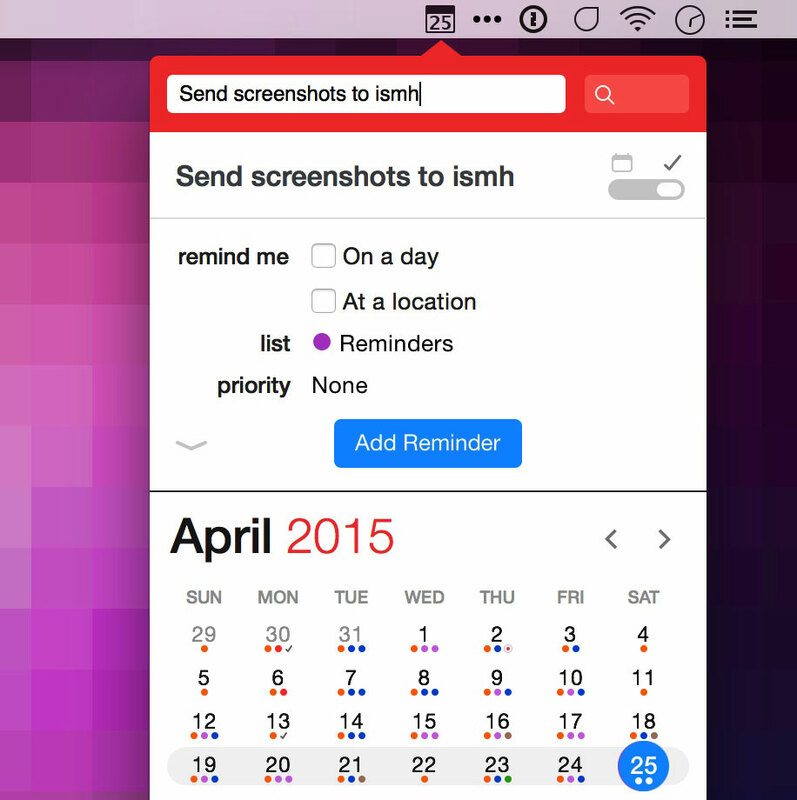 Basically, Fantastical makes working with your calendar and your reminders an experience. It’s the best option for fitting in with macOS. By far! Although not essential to the experience on macOS, any desktop application that has counterparts on iOS (or Android) extends the overall experience. Outlook is complete in this area, as is Apple’s Calendar app. However, the same smart design touches that make Fantastical the preferred option on macOS also give it the edge with the iOS versions. We’ve written in detail about the Fantastical iPhone app in a separate review. Read more about that here. Once again, Fantastical comes out ahead in our comparison. Probably the most feature complete option we considered, BusyCal is the best choice for those who value function over form. It certainly gives you all the features you could want. Where it lacks for yours truly is the aesthetics: it looks and feels a little like corporate software. I used BusyCal several years back when there were less options available to replace Apple’s iCal (you can almost smell the faux leather). Today, BusyCal is greatly improved, even to the point where it competes feature-by-feature with Fantastical. A good example is the menubar functionality. Although BusyCal started as a full desktop app, in contrast with Fantastical’s progression from menubar utility to full app, it includes a nice menubar option that allows for quick calendar entry. It even uses Fantastical-like language processing. Where it falls short of our choice is the overall look and feel. One consideration a review of this type requires is how to approach Outlook. Do you compare the calendar function only? Because it’s a full-fledged application that covers multiple categories (email, calendar, contacts, tasks, and notes) with a price tag to match, you have to decide if the additional functionality should factor in to the comparison. For this review, it did not. If an all-in-one approach is your preference, then Outlook is certainly a potential good fit for you. But, when considering calendar-specific features on their own, Fantastical is a much better overall experience than what the calendar portion of Outlook has to offer. Another issue to weigh is the cost. Is Outlook good enough to overcome the larger price tag? Not in this author’s mind. If fitting in with Exchange is a must have or if you already subscribe to Office 365, then Outlook merits serious consideration. For anyone else, the other options are all a better fit. Last, and certainly least, Apple’s own Calendar must be considered. It’s free, it’s installed on every Mac, and it has improved over the years (the Scott Forstall faux leather years, to be specific). For the most casual user, it can certainly fit the bill. Where does it lack compared to Fantastical? Well, it does not have a menubar option. As mentioned under ease of use, this is a must have for yours truly. The oddest part of Calendar is its lack of integration with other iCloud items. Want to interact with your Reminders in your calendar app? Then Calendar is not for you. Same for the Calendar Today widget. Because Apple separates Reminders into its own app, you cannot see these tasks (even if they are time-based) in the view of your day. You’d have to keep both apps open. Once again, the completeness of Fantastical surpasses the contender. With our full comparison, while there is feature parity for the most part, none of the options can compete with Fantastical in terms of overall design and ease of use. BusyCal comes close feature-wise, but is lacking the grace of a more well-designed application. And while Apple’s Calendar has the benefit of already being on your machine, it falls short in terms of usability. Fantastical is the king of the hill. You need look no further! 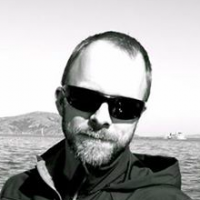 Chris Bowler is a recovering GTDer who spends his days helping customers succeed at Wildbit. He’s a father of six living in the middle of the forests of northern British Columbia. He writes a weekly newsletter and carefully crafted tweets.